This traditional girls pretty pale pink wool coat by Chloé for Girls is a must have item for Fall Winter. With a 60s Parisian style, this simple but elegant coat is based on the Chloe women's collection.I absolutely love this very pretty pale pink wool coat by Chloé Girls. With it's classic style this pink coat will make any outfit look perfect for Fall Winter. Based on the Chloe womenswear collection, in the designer's signature, simple but elegant style, this gorgeous coat for girls has a collar with a removable hood that can be attached using poppers. 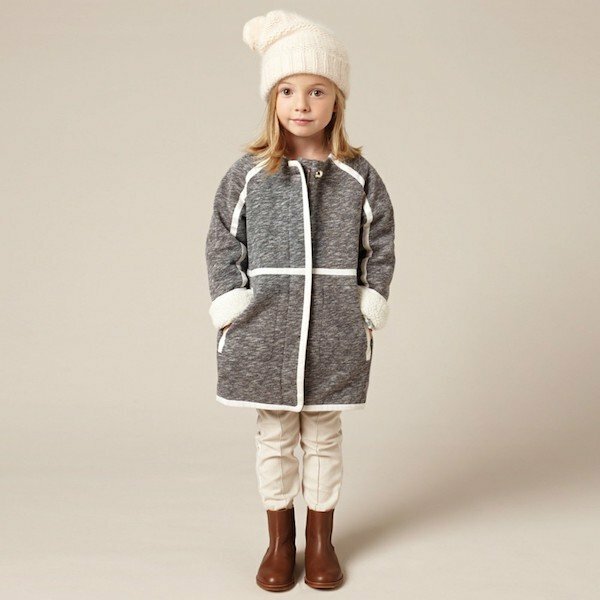 It has two large pockets to put her little hands in to keep warm and fastens the length of the front with the designer's signature gold zip. The coat is also fully lined in soft viscose and is both lightweight and warm. Complete the Chloe Girls Fall Winter look with a pair of wool pink shorts and gorgeous buttery leather brown ankle boots.